Sui Dhaaga Saturday (2nd Day) Collection Update for Morning and Noon Shows. Showing Growth. 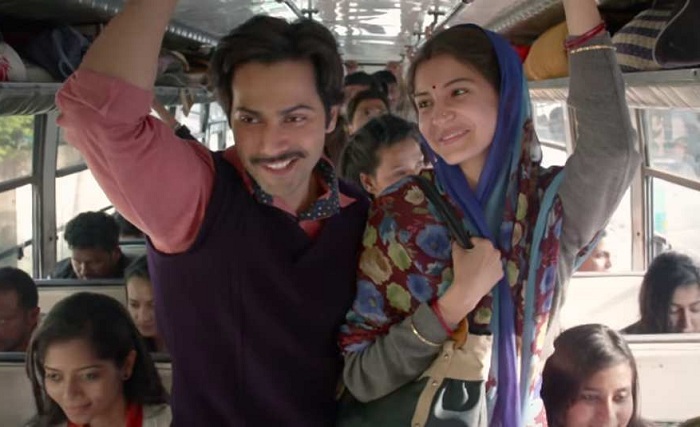 Sui Dhaaga is showing good growth on Saturday (2nd Day) at box office as early samples are arriving for Morning and Noon shows. When the same samples of Morning and Noon are compared for both days, then Saturday is showing a jump of 40-45%. This is extremely good news. However growth in later half of the day may not that much as film already showed good growth on Friday Evening and Night shows. Sui Dhaaga although started slowly on Friday morning recovered ground in later half of day one. Film is again showing growth in first half of day 2 (Saturday). This is early sign of decent to good word of mouth. Hope trend continues for later half of Saturday also. The way Sui Dhaaga is trending. It is almost certain that film will touch double digit for the day. In fact current trending suggest, film second day business is marching towards 11-12 crore mark considering decent to good jump in Evening and Night shows. However again these are early days and real picture will be out once last shows for the day finishes. 45% from 27.5% (average of 25-30) is not 40% growth. Its 60% growth.